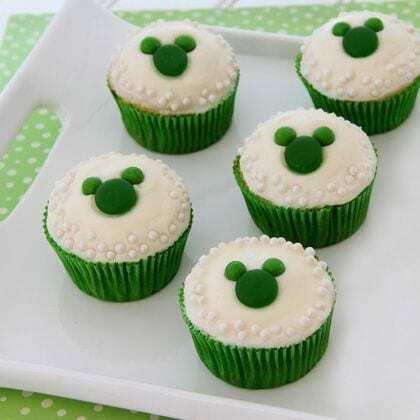 Adorable Mickey St. Patrick's Day Cupcakes! Adorable Mickey St. Patrick’s Day Cupcakes! 1 Frost the cupcakes with white icing. Decorate the perimeter of the icing with sugar pearls or sprinkles, if you like. 2 Gently press a green gumdrop, tip down, into the center of each cupcake, so that the round bottom of the candy is flush with the icing. 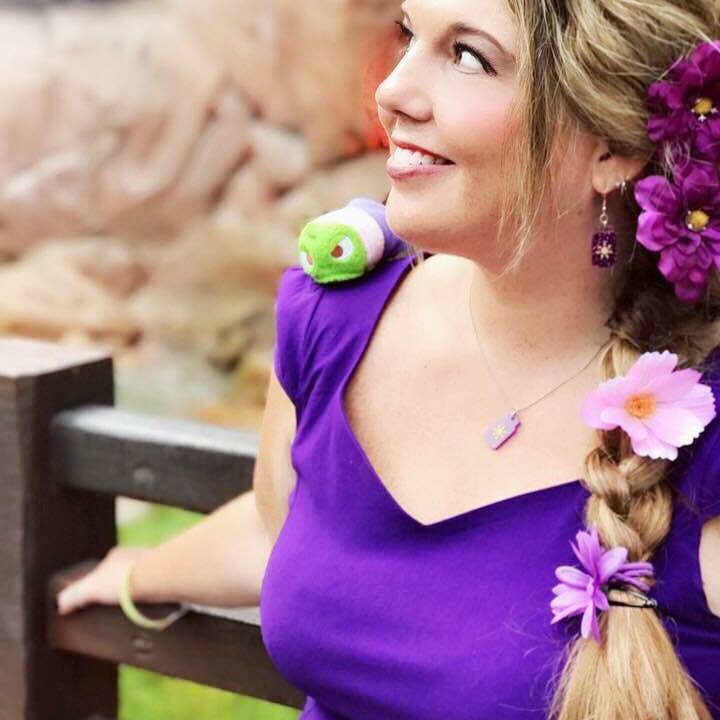 3 Carefully add a pair of candy pea “ears” to each cupcake, gently pressing them halfway into the frosting at the top of each gumdrop. Enjoy!